A view of a 1786-built Paliam Nalukettu in Paliam, Kerala, now restored as a museum. Photo: Benny Kuriakose. A vibrant trading port of the Chera kingdom, Muziris figures extensively in Tamil Sangam literature (300 BC to 300 AD) and Roman philosopher Pliny mentions it in his Natural History account of 77 AD. Dating back to the first century BC, this bustling centre of trade on the historic Spice Route disappeared during a natural disaster in 1341. Excavations by the Kerala Council for Historical Research at the small village of Pattanam, starting 2006, have revealed a rich, layered past. And the Muziris Heritage Project (MHP) took shape in 2008 as a government venture aimed at recreating the historic significance of this gateway town. The MHP brought together around 750 people, including historians, archaeologists, architects, engineers, construction labour and excavation and survey team. Benny Kuriakose , who has a Master’s in conservation studies from York University, interned with sustainable architect Laurie Baker in 1984 and is reputed for heritage projects such as DakshinaChitra in Tamil Nadu, was selected as conservation consultant for the MHP in 2007. The MHP’s artefacts and monuments are spread out over an area of 150 sq. km, and Kuriakose’s team has located clusters, including 400 buildings of historic importance and architectural interest. At the end of the first phase, 32 sites were opened to the public, such as the revitalized Kottappuram market where original structures were renovated and nine of the 27 museums planned, including Paliam Palace and Paravur Synagogue. With this, the project was formally launched in February 2016 by then president Pranab Mukherjee. Now in its second phase, the project is estimated to be completed by 2019. The Kochi-Muziris Biennale, launched in 2012, has drawn attention to Muziris’ legacy. What was the starting point of the Muziris project? The project was the brainchild of Thomas Isaac, who had grown up in this area. An economics professor from Jawaharlal Nehru University, he became the finance minister of Kerala in 2006. He envisioned Muziris as a non-formal education project for future generations. Children and adults could come and learn the different layers of history. 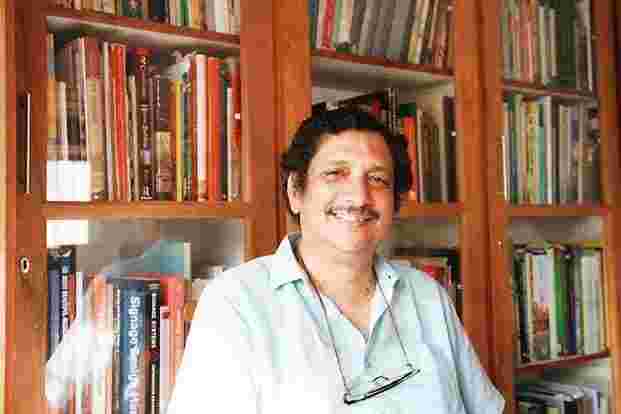 He allocated funds to the Kerala Council for Historical Research. It was the budget provision that started the excavation and this led to a holistic project. What was the state government’s vision and how did that pan out? The Kerala government felt the loss of heritage and decided that conservation should be the prime criterion. The Muziris Cultural Heritage Conservation is an entirely government-funded project, with Rs180 crore having been spent so far. There’s also support from the Central government, but there is no foreign funding. How did you evolve the integrated conservation approach for Muziris? We had a certain vision and broad aims for the project. One is involvement of the community. Second, conservation is done strictly according to international guidelines. Third, natural resources are equally important though they are not part of the built environment, such as the backwaters. This is not just about building but about heritage as a whole—a notebook, a letter or a piece of furniture, interviews with local people to understand their way of life. What influenced you to think on this scale, beyond buildings? Post-tsunami (2004), at Tharangambadi, we did a rehabilitation project for fishermen, building customized designs for over 1,000 homes. It was not expensive to do it that way and it was greatly appreciated by the government. People willingly took part. The success of a project depends on the participation of its stakeholders. Can you mention an achievement linked to your mission of development through conservation? One of the major breakthroughs in the project happened when we saw the villages with narrow roads and the difficulty of buses coming in and turning around. We found that many of these historic areas are planned around water bodies and canals, so we planned for boat jetties, where people can hop on and off boats. It is more roundabout by car. The shortest route is by boat.